The Vista Verde Ranch Riding Program offers fun-filled, informative horse clinics mixed in with adventurous trail rides that accommodate all riding levels. 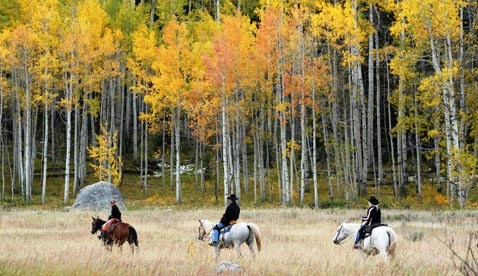 Vista Verde Guest Ranch's horseback riding program is about much more than beautiful trail rides. Even those who have ridden all their lives have been known to learn or experience something new while at Vista Verde's luxury dude ranch. Ranch Trainer Terry Wegener has an extensive background in reining and ranch versatility horse training, competition and judging. He brings this experience to the Vista Verde riding program and has helped ranch guests learn to far exceed their expectations in regards to how much they can learn in a week. From both demonstrating what he's teaching Vista Verde Ranch's young horses to helping you learn how to better communicate with your own horse, you might find that you never want to leave the arena because you're having too much fun! Help us kick-off the summer family dude ranch season with a discounted week June 4-11, 2017. Save up to $600/person for a week-long stay at the ranch. This is always such an energizing week as the staff have been waiting for our first guests to arrive, the valley is bursting with life as the grass is greening up, the rivers rushing with melting snow, and the wildflowers making their first appearances of the year. 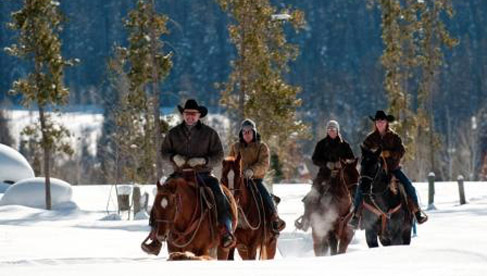 Grab your family and friends and save on a family dude ranch vacation. Learn more by calling 800-526-7433. Email Stephanie. Visit Vista Verde Ranch's website. 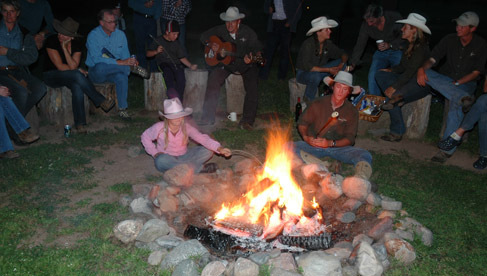 We want to make it easier to get your friends together for a Colorado Guest Ranch vacation. During certain times of the season, if more than 2 people share a cabin, we will give 50% off our all-inclusive rates for the additional guests. Get your girlfriends together and save, grab another couple and save, heck maybe even bring your in-laws…..well, we’ll leave that decision up to you. This offer is valid during our adult-only times, both summer and winter, based on availability. Check out our all-inclusive resort rates for more details on our rates. If you enjoyed the riding program during your dude ranch stay, here is a chance to come back for an intensive riding experience. Our training team hosts a horsemanship retreat, typically each year at the end of our winter season. The clinics focus on a broad spectrum of topics from maneuvering your horse with better communication to understanding conformation and more. Click here for more information on the horsemanship retreat. Most days, this luxury dude ranch has rides going out in the morning and afternoon, but guests also go on an early morning breakfast ride and an evening dinner ride once a week. For those who really want to put some solid time in the saddle, this Colorado dude ranch offers an all day ride with a picnic lunch at destinations like Pearl Lake or the South Fork of the Elk River. Horseback rides are limited to 2-6 riders so each adventure can be tailored to your riding ability. This guest ranch encourages family rides, but keep in mind the rides will be geared towards the most inexperienced rider. So if you want to go on a more challenging ride, ranch wranglers' will pair you with other riders with the same interest and riding level. There are plenty of opportunities for more advanced and faster horse riding at Vista Verde Ranch. Ranch staff members have a lot of fun with the amazing horses and wranglers keep things lively all week long with adventurous bushwhacking rides and games that get the horses out of the normal nose to tail riding style. That makes it more fun for them and you! Everyday this Colorado ranch offers a different and interesting clinic or horseback experience that can be great learning experiences for novices and experts alike. Vista Verde Ranch has developed a variety of different equestrian clinics to explore the different aspects of horsemanship, and all are suitable to all riding levels. Early in the week, the ranch's Balanced Riding Clinic provides in-depth instruction on correct body position in the saddle and at the walk, trot and lope. 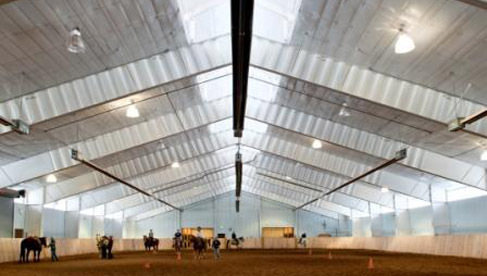 This clinic helps you learn how to move in sync with your horse for a smoother, more comfortable ride. Your body will thank you for this clinic all week on the trail. The ranch's Driving Clinic could well be unique to the ranch. Learn how to drive a team of Draft Horses from hitching them up to driving the wagon. If you thought riding a horse felt powerful, just wait until you're in control of 3,000 pounds of horse. Individual horseback riding lessons are available almost any day as well. You'll find that each wrangler has his or her own teaching style and background and that allows each of them to give you a different perspective on improving your skills. 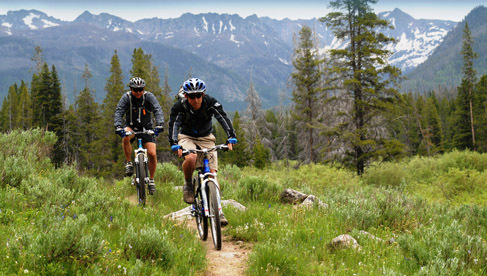 These fun activities offer a wealth of instruction and information that will benefit any level of rider while boosting your confidence and ability on the trail. Your newly developed skills may even give you an advantage in the Horse Olympics and Team Penning "competition" later in the week! Come mid-September, Vista Verde Guest Ranch partners up with a local rancher to help gather their cattle from their summer pasture. The first part of the week is spent in the arena, honing each rider's skills on working cattle. Once everyone is ready to go, guests head out into the National Forest to search out, round up and participate in a ranch cattle drive. These weeks are for those interested in an intensive horseback and trail riding experience and a lot of time in the saddle. 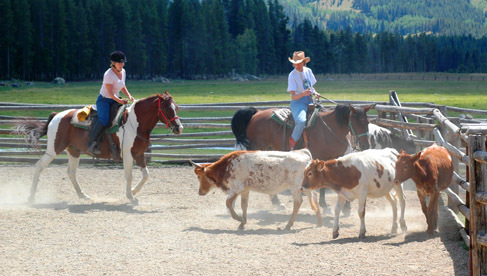 What makes Vista Verde Guest Ranch unique to other Colorado guest ranches and luxury dude ranches is the variety of other activities in addition to an in-depth riding program. Many of guests choose Vista Verde because one person wants to ride extensively, but the other doesn’t. And there is plenty for that other person to do so they are happy. 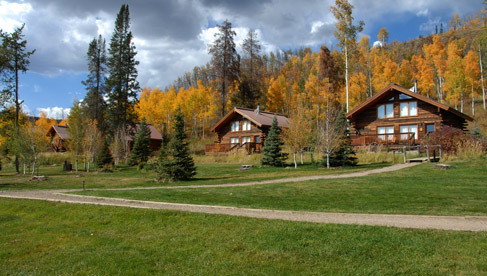 Vista Verde's luxury ranch has 9 cabins and 3 lodge rooms that are surprisingly luxurious, yet you still feel like you are living in the mountains. All have private baths and range from one to three bedrooms and one to three bathrooms. The ranch accommodations are very spacious by guest ranch standards. 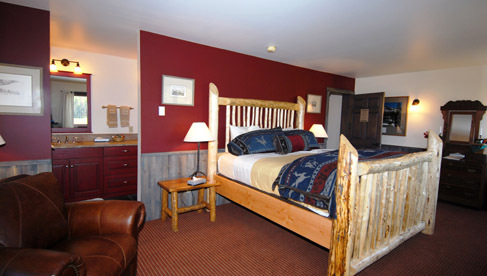 They are all very modern and furnished with a mix of antiques and handcrafted log furniture. 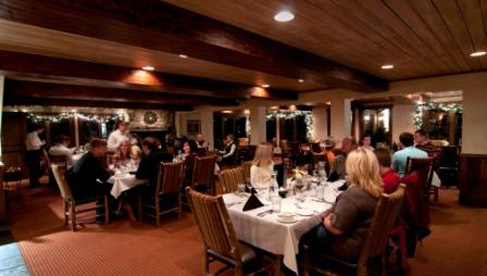 The food walks the line between ranchy and fancy. Some meals are very casual cookouts served on the trail, others are formal, white tablecloth events. All meals are included, as is beer and wine. Steamboat Springs is a bustling resort town with an old Western charm. 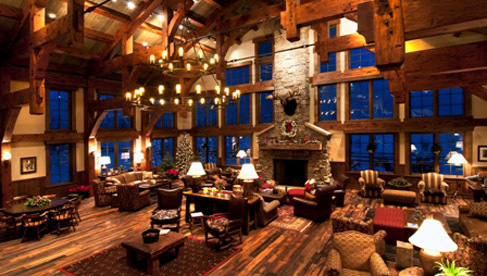 In the winter, skiing at the Steamboat Ski Resort is a great addition to a Vista Verde Ranch stay. Visit Vista Verde Ranch's website to learn more. Just north of Steamboat Springs, Colorado. Learn more about winter, spring and holidays rates.